I wanted to relay a few bits and pieces of news about Martha's television plans. As most of you know, The Martha Stewart Show will wrap taping in April and will continue on the Hallmark Channel in reruns throughout the summer months. Beyond that, there are still a lot of questions about whether or not we will see Martha on TV, and if so, when and how and where. Last Thursday, on an earnings conference call, President and COO of MSLO Lisa Gersh confirmed that the company is moving forward with plans to develop new television programing. Gersh said: "Martha Stewart and Chef Emeril Lagasse will continue to have a television presence in 2012 and, we believe, beyond 2012." Left: The television studio in Chelsea in its original incarnation. Right: The prep kitchen on set. Gersh also confirmed that the company intends to move away from taping live in front of a studio audience, creating a "leaner and more profitable television business" in the process. Letting go of the Chelsea Studio lease, where Martha has taped live in New York City for the last six years, would save the company $5.3-million annually, not to mention saving on live production costs. The plan, says Gersh, is to employ more cost-effective production methods while still working with its longtime partners to create informative and entertaining content. Gersh also said that the company is in talks with broadcast and cable networks, including Hallmark, as well as independent production companies about potential new shows. A key component, says Gersh, is "meeting customers where they want to find us." Last summer, the "Martha" production team completely redesigned the Chelsea studio in time for the September premier. In related news, the company is currently in the process of digitizing its more than 2,500 hours of past television programs, including the Martha Stewart Living television program, with plans to incorporate that content into its digital media platforms, such as the iPad editions of its magazines. Speaking as a longtime viewer of Martha's television programs, I can say wholeheartedly that I have deeply missed her television presence on Canadian airwaves, where Hallmark is not available. I truly hope that changes. Honestly, I do not care where I find Martha on television, just as long as I find her. I'm really looking forward to hearing more about these new television ventures! What do you want to see in a Martha Stewart program? 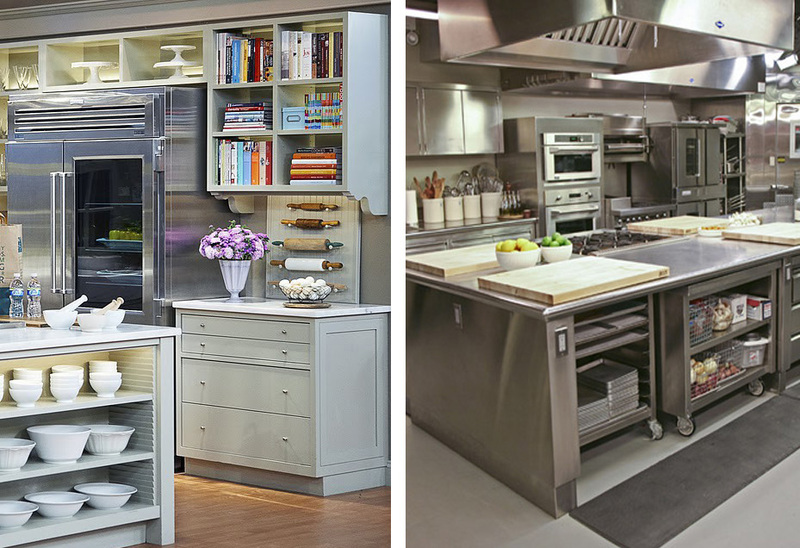 What would be your dream Martha Stewart show? 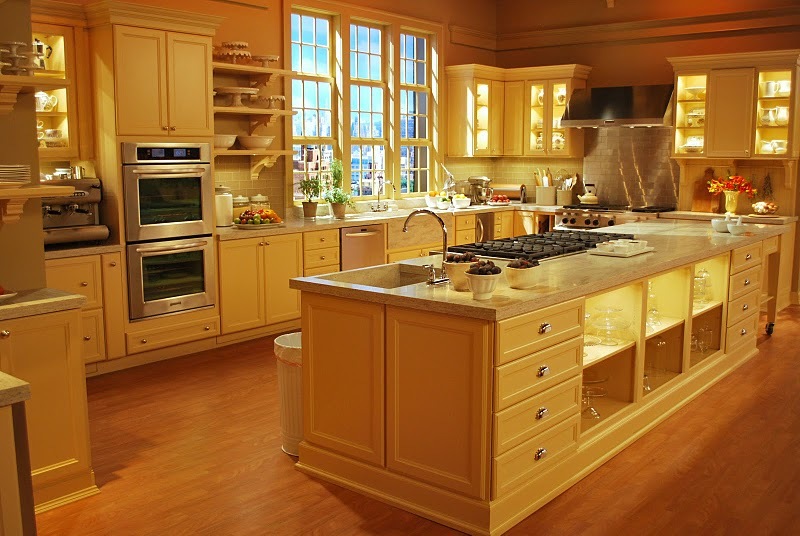 What would some of your must-have components be in creating the perfect Martha Stewart show? Leave a comment or write to me and we can discuss some of the answers in a future post. I miss watching Martha online. Usually when I click on a video it takes me to another video and I have stopped trying to watch now. Martha Bakes was on TV at the weekend over here on Good Food so I am hoping that maybe Martha's presence might come across the pond. Of her TV shows, I miss and enjoyed the most the original Martha Stewart Living show from the 90's and early 2000's. I think that format suited her best and packed in the most content. Generally speaking I am not a big fan of shows with live studio audiences. The Chelsea studio is absolutely stunning! I hope if they do pack it up, it is repurposed elsewhere. I would enjoy a travel show hosted by Martha as she has access to the most fantastic people and places and her "field trips" were a favorite segment. I have benefited greatly from her insatiable curiosity and love of teaching. Whatever she and the MSLO team come up with next is bound to be engaging. I'm looking forward to it. I also really like your blog. I can tell you put a lot of thought into your writing. Well done! Is it true rumors that Rachel Ray is taking over her studio next season? Thanks for the compliment on the writing, Abby. I find a lot of blogs treat the written word as a secondary element. Not this fellow! The Rachel Ray rumour was reported on Page Six of the Post, so I would treat that with some skepticism, but it's possible. Andrew, Martha needs to listen to her customers & her audience. We want Martha to teach & inform us the way she used to. I don't particularly care for "celebrity", so that aspect of her show can be axed. Personally, I would love to see her working, entertaining, gardening, homekeeping, etc. around her Bedford estate. The visuals there are stunning and there is so much we can learn from her home(s). I hope her company gets it right this time. As much as I enjoyed watching The Martha Stewart Show, I can't say I will miss the format. Here's to future Good Things from Martha! David, I think you definitely speak for the majority of Martha's TV fans. The people who work in the television department are SOOOO talented and amazing at what they do. I'd love to see them stretch their creative legs! Lots to look forward to! I have been wishing for years they would start the Martha Stewart Living show again! I'm not even sure how to watch the old re-runs, but I would pay money for them! I never felt like the live show was as inspiring as the Living show. I loved segments done at Martha's house, and her visits to the artists studios/farms etc. Where would I like to watch? Hopefully not on the Hallmark Channel. The best would be online, I would even buy a subscription. It would be great to be able to watch archived seasonal shows too. ABC or NBC would be fine too. We don't watch shows on extended cable anymore. The old show was much better. I do not need special guests and people clapping every two seconds. More is done in 5 minutes of taped segments than in 5 minutes of live studio segments. Now all MSLO needs to do is get Turkey hill back so they can tape some of the segemtms there. That would be a dream. The old show brought you into a world that was devoid of lifes problems. If it were not for Martha's clothes you wouldn't know when they were taped. You forget about the world around you when you watch the old shows. It is you and Martha, not you, Martha, and 150 other people! I have always disliked the live audience format. I'd love to see a return to the more 'traditional' Martha instruction like we found in the old "Living" series. I'm not surprised with the end of the "Martha Show" on Hallmark. I personally did not see it as a good fit with its limited distribution and that fact that the channel is often found on the 'premium tier' of cable channels. Having watched this company carefully over the years (how many discussions have we had, Andrew?! ), I venture to guess we will see a digital subscription format, with some new material, but a large focus on the evergreen material found in the "Living" series. Given the ratings disaster with Hallmark, and the fact that it's late in the game to sell to a network or thru syndication for a fall season premiere - digital format is what makes sense and is most cost effective. First let me say, I love your blog and your writing in general. You have a great sensibility. Re: the television show, has anyone heard about the "Mad Hungry" show? Will it continue in some type of format? It is my favorite of the "Martha" shows. Lucinda and her boys are so natural and charming on television. I know this may sound typical but I think i would like to see Martha in Prime Time... In a reality show of sorts... Last year there was some talk I remember of a show "Help me Martha" i think it would be great to show up at peoples home, work, where-ever and transform a place. Organize, Garden, host a party, whatever. Surprise! Martha Stewart is at your house and your in trouble!... Think Tabathas Take over with a Martha Twist. I also do think its time to for Martha to diversify. I mean you don't see ralph lauren's face on a polo shirt or in his ads. Martha is a huge brand, I think more personalities should define who Martha Stewart is today. I think its time to pose the question if there wasn't a Martha Stewart would there still be this brand? Her stock value doesn't think so. Its time for Martha Stewart to take on different faces. I think that has already begun with Marc, Emeril, and Lucinda, however I must say, the end of the Martha Stewart Show is bittersweet for me. I love Joey, and all the people there at the show, however I am also glad in a way, at times this format can be a bit commercial like, concerning the products and giveaways from advertisers and less about improving daily "Living". The show should bring her magazines, ideas, and lifestyle to life, the advertisers should be her products and where to buy them, and her other personalities should grab the torch and run with it. I mean showing me recipes for silk almond milk? This is an example of recent. Honestly Andrew you know i'm the biggest fan in all the land however, its true. It's official. Hallmark Channel Press has announced it's Fall plans, and Martha Stewart is not mentioned, as well as all the other Daytime shows she developed. "Marie!" will be a new one-hour (Oprah-like) talk show staring Marie Osmond, and there will be a TWO-hour (seriously?) daily talk show afterwards called Home & Family. I just found her show and now it's leaving. TV people should know, they have to advertise the cable channels etc. You never know where you find a good show once you found them. She had been on Hallmark all this time and I just now see her. Love her and Marc Morrone. Something very comforting about watching them both. Oh and I will not watch Marie Osmond. I think she is a huge phoney. Martha is real, doesn't try to hide her age, doesn't get plastic surgery. She accepts herself and it shows. Marie Osmond is a drama queen. We need another drama queen? I don't think so. I liked the old show's format: it was useful and practical in a way the new show wasn't. I liked it when she cooked with celebrities but, being such a control freak, it's really not her forte, lol. She does crafts better than anyone else; I'd like to see her do more of that. She focusses on quality too, in a way that other shows simply can't match. On the weekend my daughter and I watched her hypertufa segment and knew immediately how to do it. All the other videos either had poor sound, poor visuals, or were loaded with nervous giggling. Martha really gives value for money. She's a pro. The problem is that she's been doing this for so long that some stuff is being recycled. I can see it in the magazine; not that I'm complaining, but you can see how the pressure to make money and keep ahead of the game has forced her hand in ways that haven't always been good for her brand. I'm sure you've heard Martha Stewart's Cooking School will be on PBS fall 2012! I hope WYED-Channel 17 PBS Buffalo airs it!! !